It’s the quiet before the storm in the world of Android. Google I/O is next week, when we’re likely to hear more about Android O and other initiatives going on at the Googleplex. In the meantime, owners of the unlocked Galaxy S7 Edge and Huawei Wear both received their long-sought updates. Let’s get to the details. Huawei Watch: One of the best watches from last year has been languishing without Android Wear 2.0 until it arrived this week. You get most of the cool Android Wear 2.0 features, like the on-device Play Store, redesigned interface, and swankier animations. You can check by going to Settings > About > System updates. Some were able to trigger the update by repeatedly tapping the green “System is up to date” screen. That trick didn’t work for me, so if you’re in the same situation you’ll just have to wait. 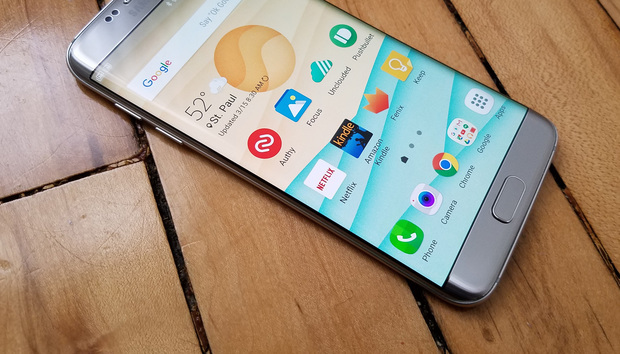 Galaxy S7 Edge: The unlocked edition of the S7 got Android Nougat a couple of weeks ago, and now it’s your turn. Details are posted to a Samsung forum, which indicates you should be able to get the update with Samsung’s Smart Switch software. Once this is installed, you’ll be able to get up to speed with Android 7.0.